I began typing this wanting to add one more theory I had garnered from the past year. I had held off typing it in case Captain Marvel surprised me and threw a spanner in the works, however now that the film's released and we've had no more clues as to what is going to happen in ENDGAME, it seemed appropriate to finish off this theory. This has been a whisper floating around the MCU for a while. 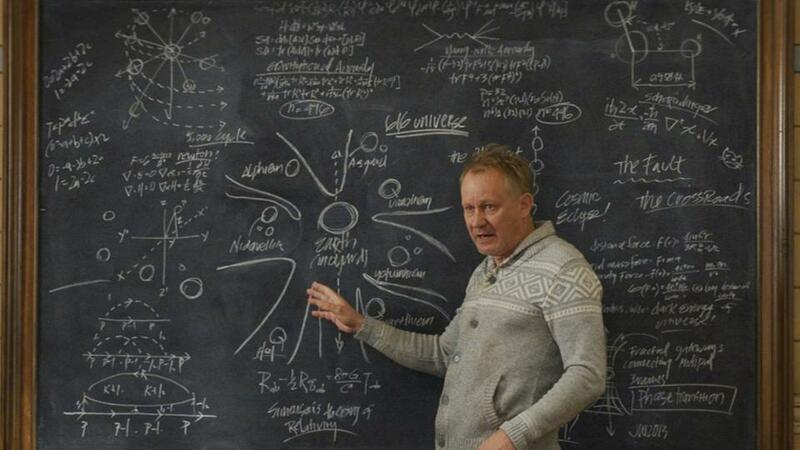 First hinted at in THOR: THE DARK WORLD, Dr Erik Selvig alludes to their being multiple universes. A parallel of what is actually true in the comics. Multiple universes exist mainly for "What if" stories and for the comics to start new runs with new writers (e.g. the Ultimate Universe). This isn't something that Marvel do alone though, DC love delving into this world as well. Comics such as 'RED SUN', a universe where Superman's ship crashed in Mother Russia instead of America, or 'OLD MAN LOGAN' a universe where all the super-villains teamed up and killed ALL of the heroes, are classic examples. Not all "What if's" are that despondent though, as evident in 'SPIDER-MAN: INTO THE SPIDER-VERSE', where there's a universe with a pig named Peter PORKER who became Spider-Ham. As comics get pushed more and more into the mainstream, so do the absurd stories, look at '...SPIDER-VERSE'. It was one of those and it was a hit! To me this points to me that the world is ready to accept mad things like multiverse's in our franchises. And it's not just Erik Selvig that has talked of multiple universes in the MCU. So has S.H.I.E.L.D. In the last season of AGENTS of S.H.I.E.L.D., Daisy is trying to figure out how she is apparently responsible for cracking the planet in two, ninety years in the past, when she is now trapped in the future of the event. She didn't do it before she left, so how did it come to be?Her new friend Deke tells her she could be from a different timeline and universe and explains to her, the multiverse. Confirming that this is somewhat in MCU lore. But what has this got to do with ENDGAME? Many theories are dotting around that time travel is going to happen. I even typed that as a theory in part one of this blog many moons ago. Yet, what would be cooler and less messy, is if the Avengers travel to different multiverses. Ant-Man & The Wasp confirmed the Quantum Realm, a micro universe, thus shooting forward that multiple universes do in fact exist. Also don't forget the device that Hank Pym built to do that is still in the back of THAT van. Imagine if they decide to form a team of Avengers from different universes? Captain America if he was the sorcerer supreme, Miles Morales Spider-Man, a Rocket Racoon that invented the Iron Man Armour etc. This would not only be fun, it would be less messy as instead of timelines being affected, the characters could all just go back to their universes afterwards, and we could be introduced to new characters like, MUTANTS!! We could have the birth of the X-Men! In a universe where Inhumans do not exist, instead they have mutants. The whole thing would be cool, creative, and clean. No plot holes. Lovely. Well done JB. Now I have always said that this theory is just fun. I can't imagine them having the balls to do it, but a new poster has thrown petrol on the fire...or water...I can't quite decide. "By "consume" I mean the soul stone siphons people's soul/conscience into a special pocket dimension called the “Soul World” where they live out a relatively idyllic, surreal life as its prisoners. Now, pocket dimensions definitely exist in the MCU. In Ragnarok, Odin said he banished Hela to 'Hel'. A pocket dimension that his life force kept from opening back up." I think that poster is implying that all those heroes are together, wherever "THERE" is, and are battling with their own problems. Be it trying to find a way back or the sheer chaos of being in a dimension with billions of lives that have been banished there as well. Does this mean that the Avengers do indeed go dimension hopping? It is easier than time travel (Rick & Morty creator, Dan Harmon, says that he only deals with dimensions in the show because time travel is far too messy), and on the way to finding the pocket dimension that everyone has been banished to, do they find alternative versions of themselves? That would fuel my theory. And yet...as a fan of Doctor Who, I can't help but feel that time travel could also be the reason they are trapped there. In Doctor Who, the Doctor deals with a lot of weird time travel theories in his storylines. One is the idea of a 'pocket of time'. 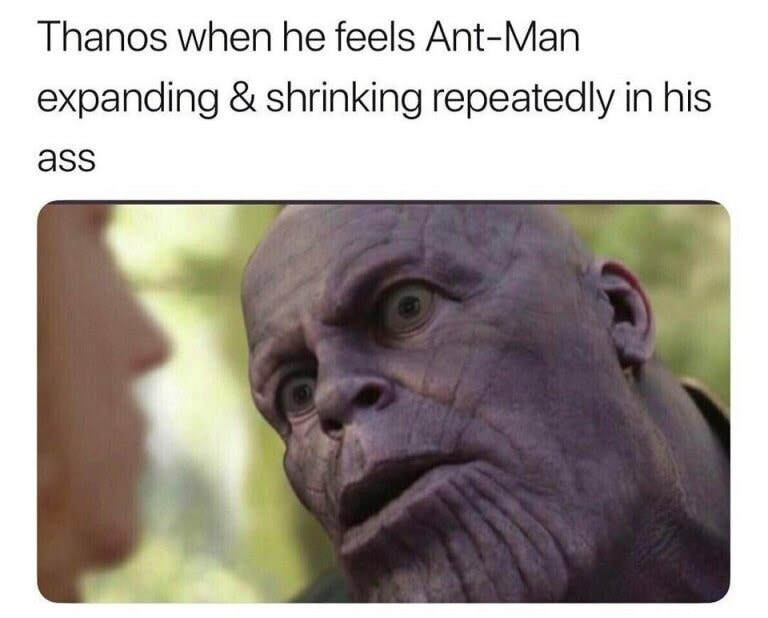 If Thanos banished them all to a part of the universe that was one second out of time with the rest of it, that universe wouldn't exist in this universe. Think of it like opening a door just as someone leaves a room, then you walk toward that room and, as you open that door, that same someone leaves THAT room out another door. If this repeats for infinity, you would never see that person, as far as you're concerned they do not exist. If ENDGAME was to go that way then that would certainly put a wet towel over my chip pan fire of a multiverse theory.